Hello everyone! I actually expected to get a lot more books this month, so I'm pretty proud of this number. I got 12 physical books, 5 ebooks, 3 audiobooks, and some bookish/nerdy goodies! There's really nothing to talk about except for that I'm super excited about all of these books. Let's go ahead and jump right in! I ended up with 11 physical books this month, with about a third of those actually being different editions of the same book (I bet nobody can guess what it is). In my defense, I prepaid for most of these books with preordering using gift cards over the summer. I don't have much money now but all but 3 of these books were paid for months ago. 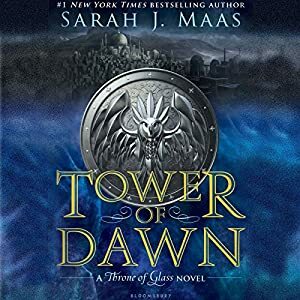 The first book I got this month was Tower of Dawn by Sarah J. Maas (are we surprised?). This was my second most anticipated book of the year and, as I write this, I am embarrassed to say that I have not finished it yet. I've had it for almost three and a half weeks and have yet to finish reading it, or get past 200 pages. I've been very busy with school and trying to get a schedule laid out. Still, I have a plan to finish it within the next two days so that it can be included in my September Wrap-Up. The next three books I have are all different special editions of Tower of Dawn. The first is the Books-A-Million edition which had a gorgeous fan-art poster inside the dust jacket. (I apologize for the blurriness...I didn't realize until I went to upload the picture to my cloud after I finished the photoshoot). The second is the Target edition which came with fan-art end-pages as well as an exclusive Q&A with Sarah. I don't love this cover more than the original, but I am an avid ToG collector and I've been trying to find this edition for a while. I'm so happy I did and I'm so glad that I've been able to add it to my Maas Bookshelf. The fifth book I got this month was They Both Die At The End by Adam Silvera. I've never read a book by Adam but the hype surrounding him and his books is insane. Some of his other books interest me but when I heard the pitch for this book, I knew I had to get my hands on a copy to read. I think the whole premise sounds interesting and like something I haven't experienced before. The sixth book I received was If There's No Tomorrow by Jennifer L. Armentrout. This is her newest book that sounds like it has a contemporary and kind of a mysterious vibe to it. I've loved every book by Jennifer that I've read and I can't wait to dive into this one. The seventh book I picked up this month was the Barnes & Noble edition of Godsgrave by Jay Kristoff. I haven't read the first book, but I knew I wanted to pick up the second when it came out. I brought both with me to college and I'm planning on reading them, hopefully at least book one in October. I feel like it has all my favorite elements: fantasy, assassins, kickass female characters, and witty sidekicks (or so I've heard). The eighth book I got this month was an ARC of Gunslinger Girl by Lindsey Ely. I participated in an arc swap on Twitter and this was the book I traded for. I had previously had a copy but I ended up trading it away. Still, I decided that I wanted to read it and traded one of my arcs for a sequel to a book I'd never read. I'm excited to read it and will probably try to get to it within the next two months. The next book I picked up was Before She Ignites, the Owlcrate edition, by Jodi Meadows. This edition came with an exclusive cover that I like a lot more than the original. I also think that this book is going to be awesome. It's a fantasy with dragons that has a representation of mental health issues as well as a main character of color. It's such a diverse fantasy book and I'm super excited. The tenth book I got was Hunting Prince Dracula by Kerri Maniscalco. I loved book one in this series and I've actually had an arc of this book for a while. However, I haven't finished it yet (I'm about a third of the way). I hit my infamous summer reading slump right as I was in the middle of reading it and haven't had the time to finish it. However, I want to get it finished in October (I feel like it's the perfect spooky book for someone who hates beings scared). The eleventh and last book I picked up was Traveler by L.E. Delano. What really sold me on this book was that the main character's favorite book crush comes to life and drags her into an adventure. The moment I read that, I knew that I had to buy it and read it. Plus, there's pirates and pirates are everything. I also picked up 5 ebooks this month. Originally I was going to have more on this list but I decided that I needed to save money somewhere, and that just happened to be in the area of ebooks. Still, I got a fair number and I'm excited to read these. 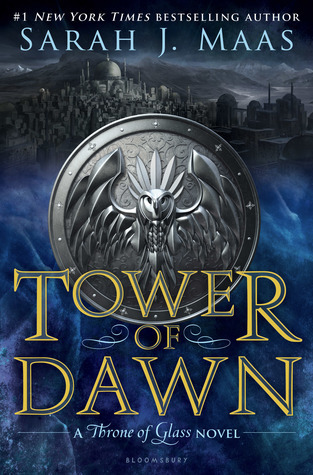 The first ebook I got this month was, of course, Tower of Dawn by Sarah J. Maas. I let my friends read from my kindle/audible accounts, and one of my friends was really upset that her copy of ToD wasn't going to arrive for at least 5 days after the release. So I decided that, because I had a gift card and was eventually going to get ToD in ebook format, I would just buy it. That way, we could all read it and share annotations. 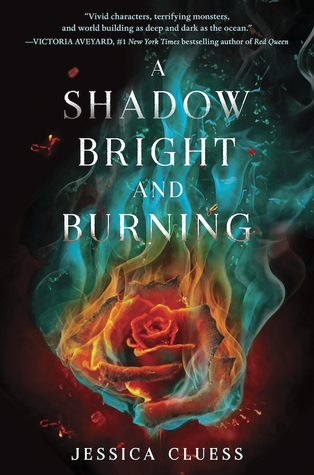 Next I bought A Shadow Bright and Burning by Jessica Cluess. I have already read this book but it was on sale for $2, so I decided to go ahead and get the ebook. I have yet to read the sequel, but am planning on it soon as I've had the arc for months now. Then I got Obsession by Jennifer L. Armentrout. I love Jennifer's Lux series, and this book ties into that world. I've actually had my eye on it for a while, but the physical book was always a bit more than I wanted to spend and I, as a general rule, don't buy ebooks that are over $5 unless I really, really know that I will love it. I was incredibly excited to see it on my daily Book Bub newsletter, and I snatched it up immediately. 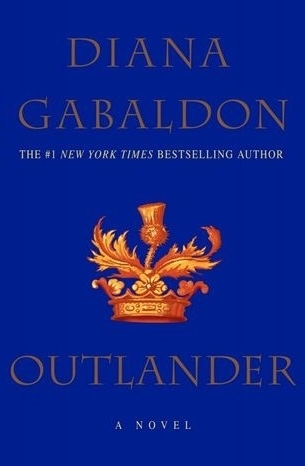 Next I got Outlander by Diana Gabaldon. I've read this book before and love it. I saw it on Book Bub one day and decided to pick it up as it was only $2 and I had to leave my physical copy at home when I left for college. 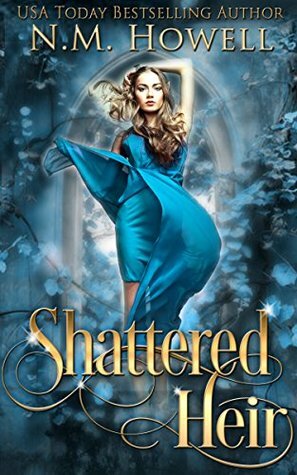 Lastly, I got Shattered Heir by N.M. Howell. I honestly forgot what this book was about as I preordered it so long ago, but I know that I was pretty excited for it to release. It's an RH (which is one of my favorite sub-genres), and I always love discovering new RH novels. I also picked up 3 audiobooks this month (I only planned on one, so oops). They're all audiobooks that I've been wanting for a while, so I'm not too sorry about getting them. Also, they were all $7.50, which is a great price for an audiobook. Let's jump in. 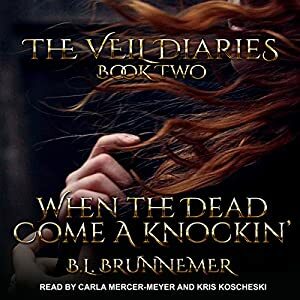 This is the second book in the Veil Diaries series, which is one of my favorite series ever. I loved the first book's audio, so when I found out the second book's audiobook was going to be released only a few weeks later, I jumped up and down in excitement. I'm about halfway through it and in love. I think that these audiobooks are so well done and I can't wait for the rest of the series to release and have audiobooks. 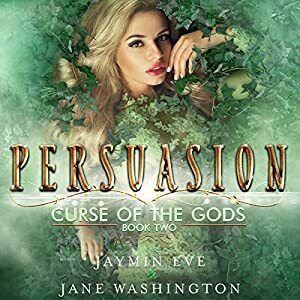 Next I picked up Persuasion by Jaymin Eve and Jane Washington. 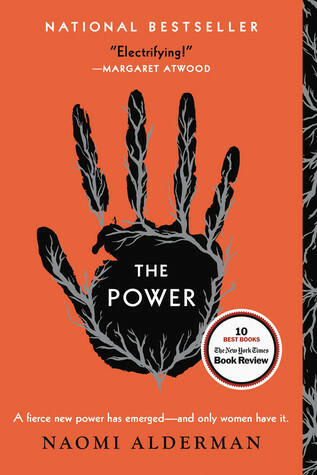 I love this book, so when I heard the audiobook was coming out, I was ecstatic. However, they didn't do Whispersync for voice, so I would have had to buy it full price at $35 if I wanted it. Then one day I was just scrolling through audible and decided to see if it had switched over to Whispersync yet, which it hadn't, but it had gone on sale for the same price as Whispersync would have been. I have never one-clicked a book so fast. Lastly, I got Tower of Dawn by Sarah J. Maas (wow, what I surprise, I know). This also went on sale for $7.50 and I knew I had to get it. I collect all editions/formats of Sarah's books and knew that I wanted it. I just didn't think I would be able to get it so soon, but I did! I haven't listened to it yet, but I may end up switching between audio and physical just so that I can get this book finished before October begins. And now onto the last section of this haul: the bookish, or nerdy, goodies. I have three categories to talk about, so let's just dive in. First, I purchased an Owlcrate box this month. The theme was Mythical Creatures and all the sneak peeks just made me really want it, so I renewed my subscription. I was not let down. Here's the link for my full unboxing and close-ups on each item, but for now, here's a picture of the entire box. Then I got my preorder goodies for ToD. I actually got four of these pouches delivered to me, as well as one delivered to my house, for a total of five of these pouches. One pouch I use for all my bookmarks that I brought to college, while another is for my Throne of Glass goodies. I gave another to one of my friends who loves this series. The other two I am probably going to do a giveaway with (once I hit 1,000 followers on Insta--@laurensboookshelf). (yes, I reused this picture. Sue me). Lastly, I picked up a tapestry to liven up my dorm room. It's gorgeous and I absolutely adore it. I now know that it is Tangled, but when I first saw it, even though I knew it wasn't the actual place, I thought of Hogwarts. I knew from the moment I saw it that I wanted it for my room. And I finally got it! Thanks for reading. You can find my monthly wrap-up with all the books I read, big events that happened throughout the month, and all my September blog posts right here.